I'm just popping in today with a quick and easy dessert for Halloween. This one is so easy you won't have any problem at all getting the ingredients today. 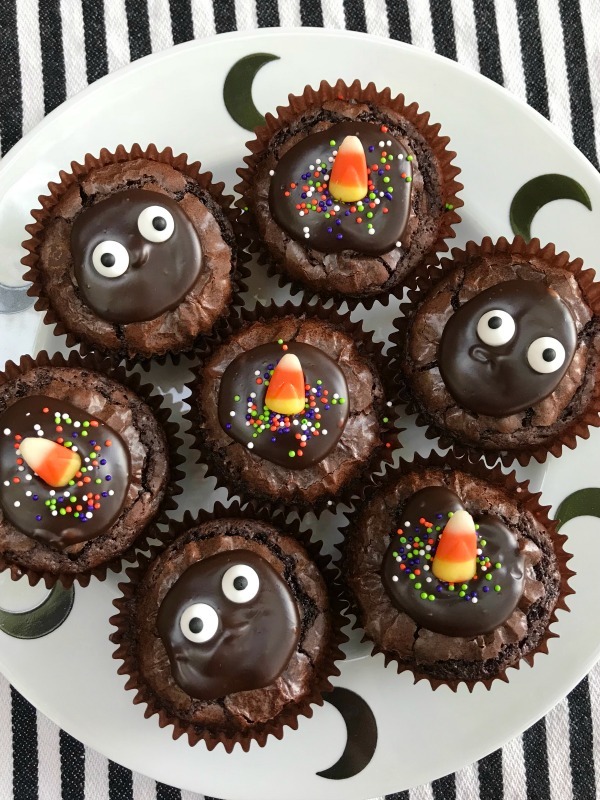 topped the brownies with candy googly eyes, sprinkles and candy corn. or to serve for dessert tonight!